Noel Torres is a manager in the Compensation Division at VMG Health and is based in the Dallas office. His focus includes valuation and consulting services for professional service arrangements within the healthcare services industry. He specializes in a wide variety of agreements and agreement structures, including: subsidy coverage, on-call coverage, clinical compensation, physician administrative and executive services, as well as management & development services. 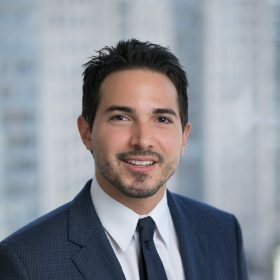 Prior to joining the Professional Service Agreements Division, Mr. Torres worked in VMG Health’s Business Valuation Division where he provided valuation services for transactional and financial reporting purposes. Business entities valued include: acute-care hospitals, rehabilitation hospitals, specialty/surgical hospitals, ambulatory surgical centers, diagnostic imaging centers, single and multi-specialty physician practices, and cancer treatment centers, among others. Mr. Torres has received a Bachelor of Business Administration in finance and a Bachelor of Science in economics with financial applications from Southern Methodist University. Additionally, he is designated as a Certified Valuation Analyst (CVA) through the National Association of Certified Valuators and Analysts.